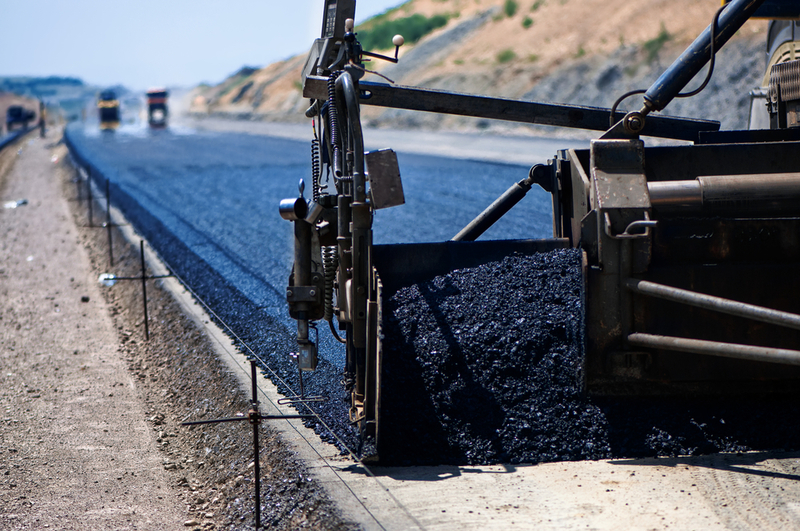 At Renaissance Asphalt Services, we’re proud to be your go-to asphalt paving contractors. For everything from asphalt patching to paving, repair, sealing and maintenance, we have the expertise and know-how to get the job done right. Despite how common it is, with uses ranging from roads and driveways to airport runaways and athletic courts, many people don’t really know what asphalt even is or how it’s made. As a primer, here are some basics on the manufacturing process asphalt undergoes when it’s created. Asphalt, which can be found in both solid and liquid form, refers to the material that binds crushed stone and gravel within a mixture. That stone and gravel is referred to as “aggregate.” Asphalt is one of the single oldest engineering materials humans have come across, with history that dates back to the ancient Egyptians, who used it for waterproofing and preserving mummies. There are many asphalt types that have been used through history, but today’s most common form is refined from crude oil. This gives it the same qualities as naturally-occurring asphalt, but in an impurity-free uniform state so it can be used in a number of different processes. Distillation: Crude oil is heated rapidly, then moved into a container where some of its lighter components are removed using condensing and cooling parts. Crude is then separated for use in other areas, and the deposit – or “topped” crude – is made into various products, including asphalt. Cutting back: This is a process that involves blending asphalt with a volatile substance to make it more malleable. This substance will evaporate once the blend is exposed to heat or air. Pulverizing: In some cases, asphalt can be crushed into a powder form. It’s first pulverized, then passed through sieves to produce granules that are all the same size. A common use of pulverized asphalt is to create pavement. Emulsifying: This is when asphalt is ground into microscopic globules, then mixed with water. Then an emulsifying agent, such as clay, soap, silicates or vegetable oil, is added to limit the ability of the asphalt to separate from the water. Air blowing: If it’s being used for coating, asphalt can be heated to 500 degrees Fahrenheit, allowing air bubbles to form in the liquid. When cooled down, this asphalt will be able to remain in the same liquid state for use in coating. Hot mix: Abbreviated HMA, hot-mix asphalt is created by heating the asphalt and aggregate before amalgamation to remove moisture. It’s commonly used for high-traffic roads and highways. Cold mix: Also called CMA, cold-mix asphalt is mostly for secondary roads. For more on the process of creating asphalt, or to learn about any of our asphalt repair or maintenance services, speak to the pros at Renaissance Asphalt Services today.